I was given a one-month visa when I entered Cambodia, and I set myself the goal to complete the first draft of the Sisters For Sale documentary script before that visa expired on 10th March. It was an immense job that involved sifting through and sorting more than a year’s worth of notes, emails, and transcripts and translations of interviews and phone conversations. To effectively tell the story of human trafficking in northern Vietnam, I needed to compress vast, shapeless masses of raw material into something concise and coherent. It was a goal that seemed increasingly impossible as my deadline loomed, and last night I realised that I’d run out of time. This morning, I learned that all buses running to the Thai border were booked solid, and that I would be stranded in Cambodia for one more day – so I holed myself up in a hotel room and set to work. I’ve just now written the last lines of the script. Although there’s plenty more cutting and polishing to be done, I’m very pleased with the way it has come together. Tomorrow I’ll cross the border. I’ll soon be arriving in Bangkok to invest in more hardware to edit the film, and will watch the script as it comes to life over the coming months. 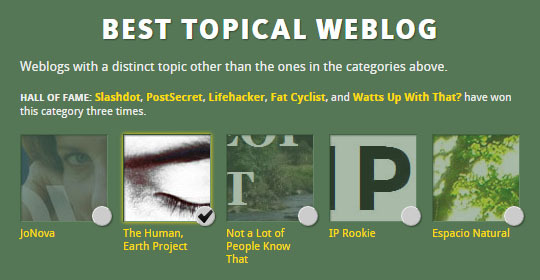 For those of you who didn’t yet hear the news, The Human, Earth Project is one of five worldwide finalists for the 2015 best topical weblog award! (The 2015 award in fact covers the 2014 calendar year, in which I located two trafficked friends in China and helped one reconstruct her life in Vietnam, amongst other things). I’m competing against larger and better established blogs from around the globe. Your final vote is now crucial for a win, to help raise awareness of human trafficking, and to help raise the profile of my work here in Asia. If you haven’t voted already, please do so – it takes only ten seconds of your time!